In 1865, at the age of 61, Tate decided to retire, requesting the Buford’s buy him out. With Charles away on business, Basil and Tate came to an agreement for a buyout over two days of intense bargaining in early July. The result was substantially more then the $9000 Basil initially offered for Tates total stake in the company. According to Tate’s diary, Charles was furious when he returned at the prospect and actually threatened to shutter the plant rather then pay the severance amount Tate and Basil had agreed to. Notes were deposited dated July 1st to settle the matter at the Rock Island Bank, although Tate retained ownership of half the factory, renting it back to the company and being held accountable for one half the repairs and additions that might be added to the factory. Additionally government bonds were also drawn to cover the remaining balance, all totally equaling $16,500 for Tates partnership, stock and severance. Tate remained in Rock Island for a few years, partaking in retired life, including adventures with his good friend John Deere, although this relationship may have strained in 1870. 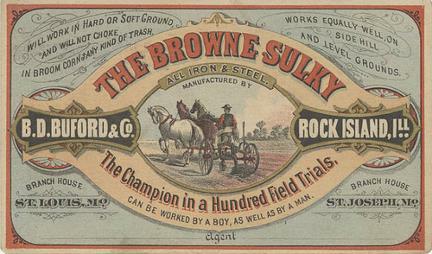 In 1870 R.N. Tate was called upon to testify in the appeal of the 1867 case of John Deere vs Candee, Swan & Co. (which would also be called the Moline Plow Company) over their infringement of John Deere’s plow design and the use of “Moline Plow”. What is the character and knowledge of John Deere as a machinist, and in what is his chief ability? What is his inventive ability? Eventually, his desire to once more see his eldest daughter would bring Tate and his second wife and their grown daughter to California in 1872 where he died in 1886. With Tate’s departure Buford & Tate became the Buford Plow Company and on Charles death in 1866, Basil D. Buford took over the ownership of the company with his younger brother Louis M. Sales were brisk with the company producing up to 600 plows per week . In 1871 the company was again reorganized, this time into B.D. Buford and Co. The Buford Brothers had also remained involved with the Buford Plow company and now became major backers of the B.D. Buford Company. By this time, Buford Brothers Dry Goods (Brother John had passed away in 1863 after the Battle of Gettysburg and his pursuit of the confederate forces as a Union General, Napoleon had also served as a Brigadier General for the Union) had taken up banking operations and served as the bank for the plow company. This close connection would pose problems later on, but for the time being this was a profitable partnership. Serving as board members, the brothers had brought a great deal of experience to the partnership and their store served not only as a useful sales point but also took on aspects of the company store concept Deere, Tate & Gould had employed earlier. The B.D. Buford Company was one of the few companies of the day to produce a full line of implements besides plows, with as many as 50 products in their lineup at any time. Although plows of all types were their main stock in trade, cultivators were also a substantial portion of the companies line. Disks, Planters, Listers, Harrows Employing a staff of up to 600 workers, the company was a major part of the late 1800’s Rock Island economy. However, despite the prosperity, the fortunes of the B.D. Buford Company took a major downturn in 1880 with a weak market and a pair of disasters. The first was a major flood in June 1880 that severely damaged the factory and then a massive fire gutted the plant on New Years Day 1881. At the time, the factory consisted of the main working shops consisting of the large finishing shop for plows and cultivators, an extensive blacksmith shop, a large storage facility that would allow a railroad car to be loaded indoors and attached to it the pattern shop and the grinding and polishing shops, all connected. A new facility had just been completed consisting of foundry, chilled iron plow shop, paint shop and a new warehouse. At 5 in the afternoon on Friday, Dec 31 New Years Eve Day, work let out as usual. The next days paper reported that at 6:20 fire was seen in the front and side windows of the 2nd floor wood shop and the alarm was raised,; although some later reports indicated some residents had seen fire nearly 15 minutes earlier. Later accounts claimed the alarm was actually raised at nearly 10 o’clock. 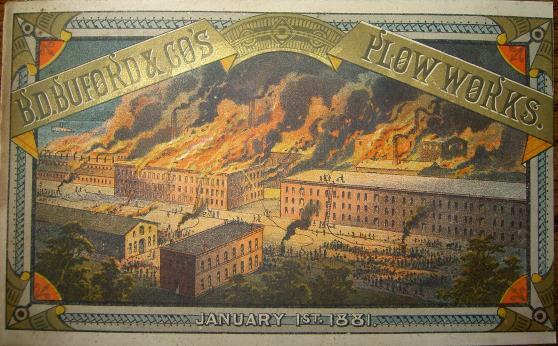 The companies own plow works fire brigade was the first to respond from the company water works (as the major factories of the day had their own fire crews), but the Hally engine on the pump failed at the critical moment as one of the reciprocating arms gave way and the brigade found themselves without water. Later reports also indicated that the hoses had been left off the reels, costing valuable time. Mr. Cramer the superintendent rushed to the scene to attempt to repair the Hally to run on one arm and the back up Worthington engine was started, but critical time had already been lost. The Weyerhaeuser-Denkman sawmill fire crew was next on the scene followed shortly by city fire crews, some armed with steam fire engines, by reports all total nearly 110 men plus the sawmill and plow works brigades. Fire crews from Davenport also responded to the fire from across the Mississippi bringing more hose carts, but it was too late. The fire quickly spread across the old factory, jumping from the woodshop to the wooden main factory and in short order the entire block except the blacksmith shop was in flames. So intense were the flames that they shot high into the air and could be seen for miles for nearly two hours in the New Years sky. The fire crews were forced to pull back and the battle became one to save the rest of the surrounding buildings. Amazingly, only one man was injured in the fire, who fell from a ladder as the fire crews demolished the enclosed passage crossing sixth street that led to the new buildings. The loss of the main buildings was total, an estimated pure dollar value of $100,000 was given in the paper the next day, of which $66,000 was reported to be insured. $35,000 of that loss was said to be in completed implements waiting to be shipped. Later reports put the cost much higher in damage, at over $150,000 in damages plus $66,000 in insurance. The fire might have been far worse in losses were it not for the new buildings. A number of finished implements had been moved to the new facility that otherwise would have been in the destroyed buildings. Besides the physical damage, the loss to the town was staggering . 475 workers found themselves out of work from the fire, and many of them lost all of their tools in the blaze, estimated at another $2,000, tools that for many were the investment of their life savings. Within days of the fire, citizens of Rock Island had arranged a charity concert to be held at Harpers Theatre to buy tools for the workers who had lost theirs in the fire. And while many in the city turned out to support the workers, some buying many extra tickets, already rumors were flying that the fire had been arson. “Some enemy started this fire. The flames sprang up in three places at once and the watchman saw two men running though the alley.” B.D. Buford was quoted as saying later. Despite the rumors, no culprit was ever identified. With such limited insurance (which was not uncommon in the day despite wooden factory’s filled with sawdust, paint, seasoned wood and many open flames, lanterns and hot iron) there is no thought it was something so mundane as insurance fraud. Besides the physical losses, the company was faced with an extremely early planting year and limited inventory. Temporary shops were erected while the plant was being rebuilt, but for much of the year production was severely hindered and flooding delayed reconstruction. The plant was rebuilt with a brick 81 x 232 ft three story + basement manufacturing shop at its center, but it was a staggering loss for the year. 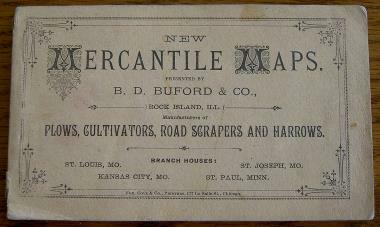 Later, the official letterhead later came to show the factory with the words “Burned in 1880, rebuilt in 1881”, although the new shop was not ready for production for the planting season of 1882. 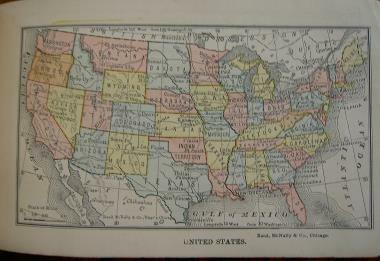 Despite the losses, Buford testified to congress in 1882 to the Tariff Commission that the B.D. Buford Company had manufactured $1,000,000 worth of product the previous year. Even though the company was rebuilt, a continuing weak economy and debt brought on by the disasters forced another reorganization in 1884. At the proceedings regarding the reorganizations, legal issues with other creditors arose that J.M. Buford (of Buford Brothers) was president of the bank holding a major note and also a sitting member of the B.D. Buford board of directors. 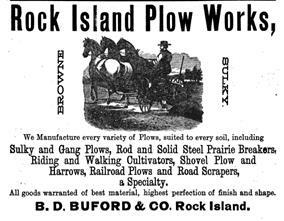 In 1885 the company officially reorganized into the Rock Island Plow Company. J.J. Gilmore took over as president and Louis M Buford stayed on as treasurer. B.D. Buford, in failing health retired from the company and died just two years later.